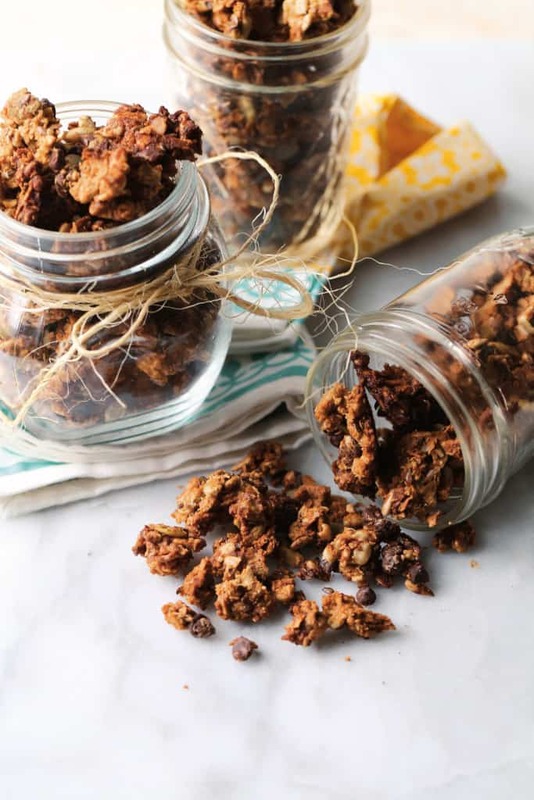 I wanted to share a Nut Free Granola recipe from The Paleo Kids cookbook I recently received. Granola has oats in it which led a lot of Paleo people to make a Paleo version of it, which led to a lot of Paleo granola recipes that are very heavy in nuts. My friend Jen has made a nut free granola recipe that is from her brand new cookbook, The Paleo Kids Cookbook, that contains ZERO nuts. Perfect for anyone allergic to nuts, kids who have to take nut free snacks to school etc. 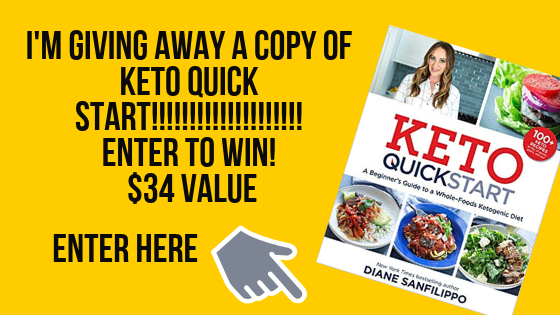 The Paleo Kids Cookbook is perfect if you need ultra allergy friendly recipes. It is literally free of nuts, eggs, dairy and gluten of course! The great thing about grain-free eating is the versatility and magic of nuts behaving as grains. But sadly those with nut allergies become limited once more. I wanted to create a granola that was just as good in yogurt and in milk as it is alone as a quick snack. This one is both grain and nut free and is packed with lots of nutrients that both little kids and grown kids will love! Preheat the oven to 350˚F (175˚C) and line a large baking sheet with parchment paper. Combine all the ingredients in a mixing bowl and then spread them out on the baking sheet. Bake for 10 minutes, then redistribute the contents and bake for another 5 to 10 minutes, being careful not to burn. Remove the baking sheet from the oven. Allow the granola to cool, then store in an air-tight container at room temperature. FOR LITTLE HANDS: Allow your child to mix all of the ingredients by hand and then spread the mixture out onto the parchment-lined baking sheet. They can also help break the baked mixture apart into smaller clusters once it has cooled. Older kids may be able to complete the recipe start to finish with some supervision. 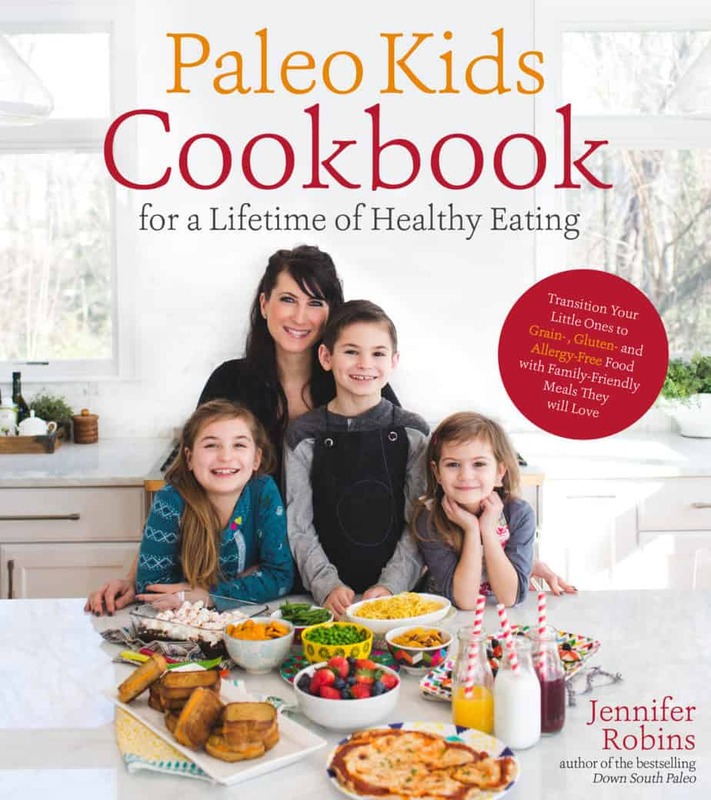 You can find The Paleo Kids Cookbook at any major bookstore in North America as well as on Amazon (click here).